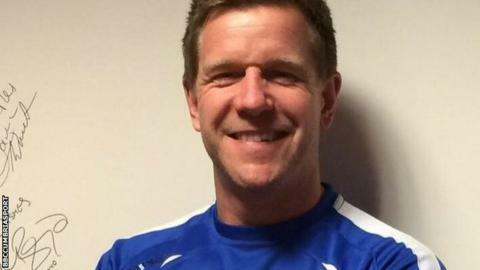 Manager Darren Edmondson has parted company with National League side Barrow by mutual consent. The 44-year-old had been in charge at Holker Street since December 2013 and led them to the National League North title last season. The Bluebirds lost 3-1 at Dover on Saturday to sit 16th in the league. "With recent results not going in Barrow's favour, both parties agreed that parting company would be in their best interests," Barrow said. Barrow owner Paul Casson said in October they "can't wait" for success after reports emerged he had given former Carlisle and Workington defender Edmondson one month to improve their fortunes.